B. Thomas (Arlington, Texas, United States) on 10 October 2018 in Animal & Insect. 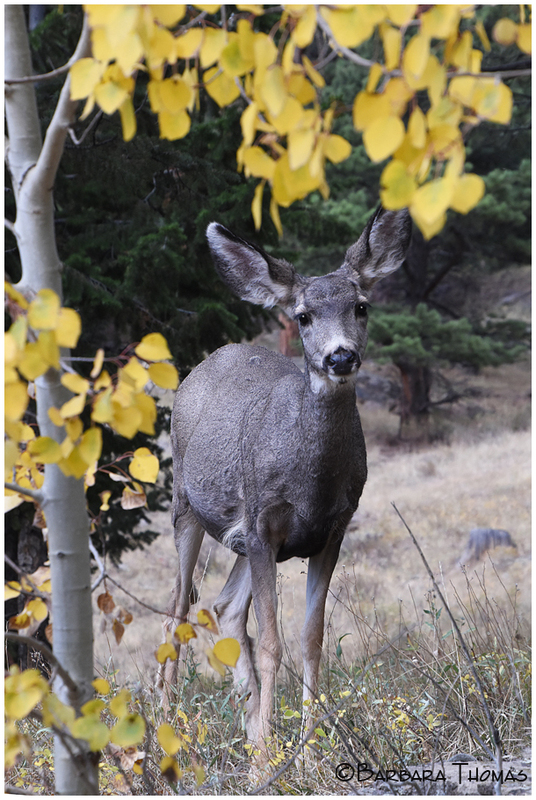 A mule deer in the aspen leaves in Rocky Mountain National Park, Colorado. *Home after a great week in Colorado. awwww . . how sweet is that ?! Lovely shot. The tree makes a wonderful frame. Beautiful image ! A magic meeting !! What a pretty girl! Wonderful portrait. What heartwarming eyes that are peering through your lens!! Great timing and capture! I thought its ears looked a bit large, then I saw what you identified it as. Lovely and cute, fine wild photography. A beautiful portrait! They are such gentle creatures. His eyes have so much expression. Great how you framed the deer with the yellow leaves surrounding her.